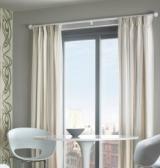 Interior Inspirations offer one of the widest collection of tracks and poles. The wide variety of styles means you will always be able to find something to suit the design of your home and can be custom made to fit any window size or shape. We supply Tracks and Poles that have the quality and style for our most discerning customers and offer excellent value for money, we always combine quality and value. If you need any advice about measuring we will be available to help. How do you want to use it ? Curtain tracks (also known as curtain rails) are traditionally operated by either a cord (Corded Tracks) that you use to open and close the curtains, pulling the curtains by hand (Uncorded Tracks) or by a drive belt with electric motor (Electric Tracks). Traditionally they differ from curtain poles because of the way they operate, that is by using gliders rather than rings that encircle the curtain poles. 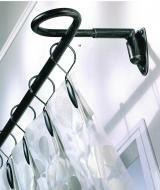 This has changed over the years with the introduction of curtain poles with gliders. 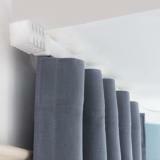 These products look like the traditional curtain poles but operate like tracks. 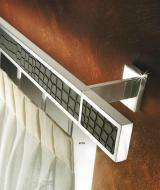 This makes them a much more efficient curtain rail design and suitable for long lengths and bay windows. At the very heart of our core competences is innovation inspired and driven by customer needs. Expecting the best includes excellent service. Our Customer Service Team and Dealer Network provide an extensive range of services including technical advice, fitting and maintenance. 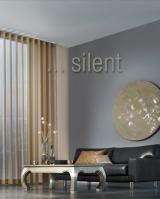 Silent Gliss has always been a pioneer with all of the risks and opportunities this brings. 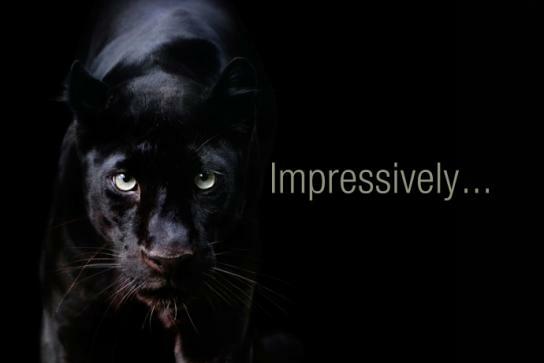 We have used our opportunities well, growing steadily now for more than 50 years. Integra believes that achieving quality involves recognition of all customer needs, and the employment of an efficient management system that endeavours to satisfy each customer first time, every time. All our employees are trained and committed to the company policy on quality and are aware of the environmental impacts of their work. All of Integra’s wooden poles are made from wood that is sourced exclusively from the resources of well managed forests. The main finishing processes are executed inside of the company’s manufacturing premises of 12000 sqm, a fully automated warehouse ensures orders dispatching within 24/48 hours. Our Brand has a top market position and definitely stands out of any other manufacturer’s product as, since the beginning, the company has maintained its strong identity thanks to the widest range of products, the utmost care of the finishes and an unmatched innovative offer. At the very beginning the first ever manufactured products were in brass. Thereafter, the company has broaden its offer with products in iron, steel and aluminium, combining these materials with decorative elements made of cristal, Murano glass, strass Swarovski, ceramics, wood with the aim to offer the widest range of products and satisfy the market’s requests. The painstacking selection of the best materials has allowed to conceive systems of superior quality, giving birth to the best window furnishing structures. A few thousand decorative curtain sets later, Casa Valentina has developed the roller blind systems with a highly customizable character that suits any elegant, sophisticated environment. A very wide collection of fabrics offers the customers the highest quality choice available in terms of natural fibers and ecological materials. The innovative roller structures together with innovative fabrics has allowed an important success all over the markets where Casa Valentina is present. Thanks to an highly specialized team, the company’s management allows the realisation of valuable projects of interior design with highly remarkable quality and italian features. Ever since we began, we have always been ‘made-to-measure’. Established in the year1800, Tillys founded its roots in naval outfitting, a family business situated in the heart of the Royal Portsmouth Docks. From this we naturally progressed into bespoke tailoring, hosiery, gloves and hats, selling from the family premises. With further diversification into waterproofs and umbrellas, our bespoke expertise led us on a journey through the manufacture of blinds and window treatments, using a wide range of materials, which is our current position, specialising in perhaps the most authentic collection of antique metal finishes available today. Cameron Fuller are a UK specialist manufacturing company based in Honiton, Devon. We design, make and supply metal and wooden curtain poles and curtain track to retailers, interior designers, contractors and curtain makers. All of our products are made in our Devon workshops, with stock items available for immediate dispatch. We offer a wide range of standard colours and finishes in both the metal and wooden poles, and track plus an extensive selection of finials, brackets and accessories. In addition we offer a bespoke colouring service. We are able to bend our 19mm metal poles to fit a bay window - you supply the measurements, and we will supply the pole ready to fit. 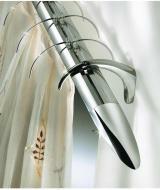 The Bradley Collection has created nine sublime drapery hardware collections. Each has a distinct identity and sense of provenance and place, covering design influences ranging from Arts & Crafts, through Baroque into linear Modernism. This exquisite range of high-end curtain rods will add a distinctive design statement to a project and enhance the effect of the curtains and window dressing overall. A slick contemporary curtain style may be cleverly created through the use of modern and innovative design options, or a more traditional classic look may be achieved by using the Steel, French or Baroco Collections. 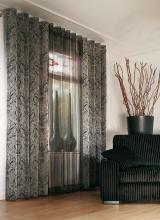 These are high-end range of curtain rods, all crafted using the finest quality materials for a first-class finish. a fusion of design languages of past adn present. 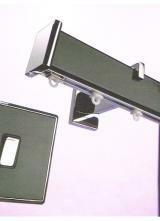 modern technology combined with supreme quality, design & finish. acrylic, crystal and chrome blended in harmony. At Walcot House, we are passionate about designing and manufacturing contemporary curtain poles and unique finial collections for your home. Our roots lie in the supply of luxury curtain poles to the interior design and curtain making trades, which we still do today. Based in the heart of the Cotswold countryside our specialist team takes pride in designing beautifully engineered window dressing products with luxurious quality finishes. 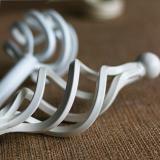 Our hand finished curtain pole sets can be delivered across the UK and worldwide. No minimum order requirements, just 100% British design straight to your doorstep within 3-5 working days (UK). 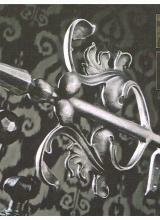 Made with real stainless steel our metal pole sets are complemented by a vast range of luxurious finials. 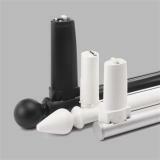 50mm diamter wooden curtain poles finished in high gloss or a soft understated matt finish. 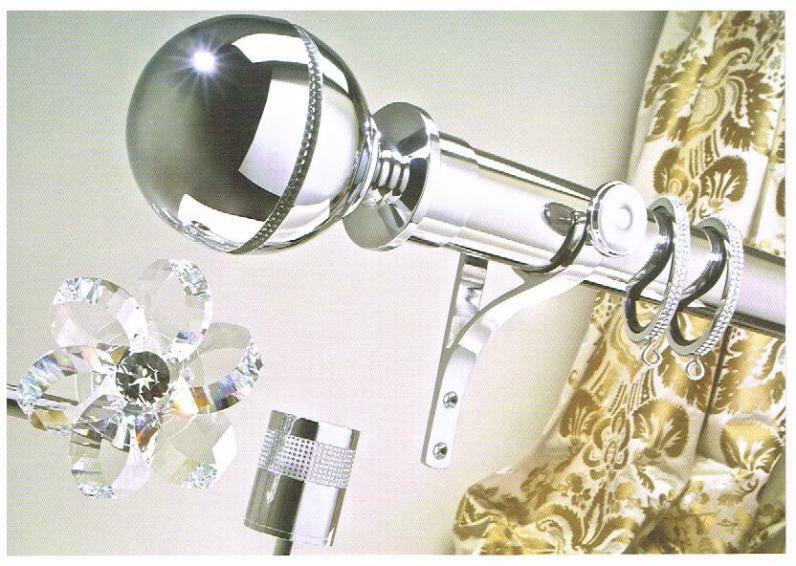 Our solid acrylic curtain pole is a consistent favourite, add a splash of colour with one of our unique finials. 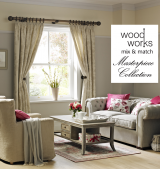 Beautifully hand finished bronze curtain pole sets, a classic sophisticated look. 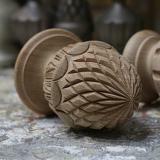 Hand stained 50mm diameter wooden curtain pole sets in twelve colours from bright washes to subtle neutrals. 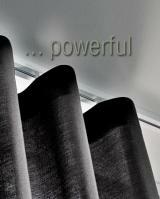 Sleek matt black 19mm metal curtain pole sets, perfect for a minimalist interior or narrow windows.